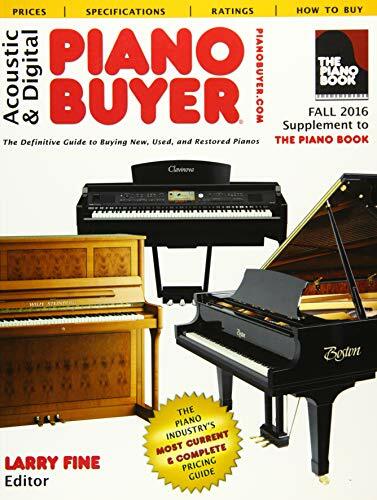 This book is a one-stop, up-to-date information source for virtually everything you need to know about buying a piano—including the latest pricing. The latest supplement to the pianist's must-have reference The Piano Book, this comprehensive guide provides list prices for more than 3,000 currently manufactured acoustic and digital piano brands and models, as well as advice on how to estimate actual street prices to help negotiate the lowest possible price. Summarizing the essentials of The Piano Book, this new resource goes beyond the basics to offer extensive details on digital pianos and reveals all the information necessary to differentiate between a good deal and a great deal. Anyone in the market for a new or used piano—including teachers, technicians, students, and aficionados—can make a more informed purchase using this definitive guide. Updated twice a year with the most accurate information, the manual fully covers piano manufacturers, instrument models, prices, and current trends and conditions in the piano market.